Biking has already become an essential part of people’s lives. Be it for exercise, competition, or commute, bikes have always been the star. Whatever style of bike you have, performance is not just about speed, it is most of all about efficiency. Bicycle tyres make that possible. You may be taking good care of your bike, but with the wrong tyres, you might not be getting its best version. To actualise your bike’s full potential, you must first understand bicycle tyres. Numbers stamped on the tyre sidewall will tell you what your current tyre size is. Most common tyre sizes are 26 x 1.5, 26 x 2.0, 700 x 25c, and 27 x 1 1/4 inches. The first number is the diameter of the tyre and the next is the width. Standard adult bikes, such as mountain bikes, require 26, 27.5, or 29-inch tyres. Twenty-four-inch tyres are found on cruisers or BMX bikes. Road bikes need 700c or 29 inches. This “c” is a French tyre naming system that has been used through the years up until the present; no need to panic. All these measurements may be confusing. But what you have to keep in mind is that whatever your current tyre size is, you should pick the same tyre size if you ever need replacement. If you want to upgrade your bicycle tyres in terms of size, go a bit higher or lower only with the width. Now that you have enough knowledge of the basic tyre dimensions, you should learn some of the types of bicycle tyres. Bicycle tyres actually have a tube inside them, made with rubber. Ultra-light, with less rolling resistance, and less chances of puncturing, tubular tyres are often used by elite racers. Thanks to innovators, tubeless tyres have come to life. This type of bicycle tyre is similar to car tyres: keeping the air inside without the use of tubes. With this, you’ll get to experience the smoothest ride of your life. The most popular of all bicycle tyres, clincher tyres make use of beads to secure the tyre on the rim. Although clincher tyres are heavier, they still offer awesome performance and puncture resistance. The part of bicycle tyres which contact the ground is called tread. While all bicycle tyres look alike, the tread patterns make each kind different. Smooth as the roads you travel, slicks have almost no pattern at all. They are perfect for commuting and touring on asphalt and groomed track. With their even surface, your bicycle tyres can keep rolling fast. The minimal grooves help enhance your cornering on rain-soaked roads. Commonly seen on the streets, semi-slick tyres have a smooth centre and tough treads on the side. These are ideal for slight rolling resistance, quicker acceleration, and better cornering on smooth roads. More grip and rolling resistance: these are what inverted tread tyres offer arider. With this type of bicycle tyre, traction on loose surfaces is guaranteed. Inverted tread bicycle tyres are best used for recreational cycling on paved or hard-packed trails and touring on mixed surfaces. Did you say off road? Knobby bicycle tyres are the greatest type you can use. The studded design is perfect for loose terrain. For extreme cycling, knobbies will never fail to impress you. Trying to understand all the twists and turns of bicycle tyres may be tiring—but not when you are with the cycling experts. 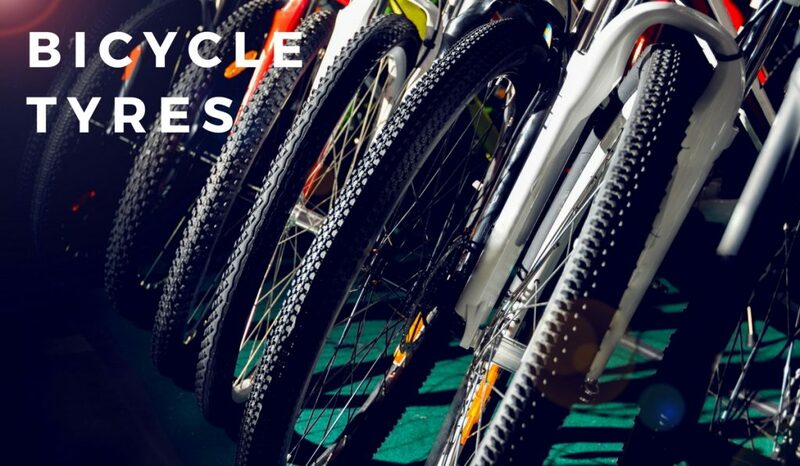 Stead Cycles has been giving Aussies the best bicycle assembly and after sales service, since 1923. We are committed to always satisfying our customers and putting our best pedal forward each time. Beautifully located at 29 Landor Street, Beresfield, NSW, our doors are always open. Call us at 4966 2141 or drop by our showroom to get a glimpse of our products!